A very recent post on graduation challenges including Decanal difficulties with names and a failed graduand backflip. The surprising news that swimming was not part of graduation requirements any more for one US university. 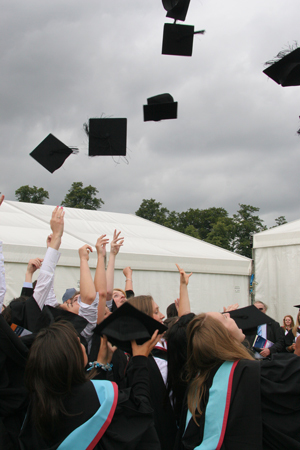 The differences between a US-style Commencement and a graduation. The strange ceremonial use for a weapon at graduation – the place of the mace. And finally, Graduation as being all a bit lovely like London 2012 (if we can remember that far back). So, do hope that keeps everyone going until I have something more original to offer. This entry was posted in Alumni, HE, Students, University, University of Nottingham and tagged Administration, campus, graduation, Students, universities, University of Nottingham by Paul. Bookmark the permalink.